A new grant from the National Institutes of Health and the United States Food and Drug Administration will fund the program at the CVM for two more years and help it expand globally. The lab of Siddhartha “Sid” Thakur is the only North Carolina representative of the FDA’ s GenomeTrakr program, a network of labs using whole genome sequencing to catalog pathogens in a worldwide, sharable database. Such information helps to swiftly pinpoint the origins of outbreaks of some of the most common pathogenic sources of foodborne illness. Paula Cray, head of the CVM’s population health and pathobiology department, is the co-primary investigator on this grant. 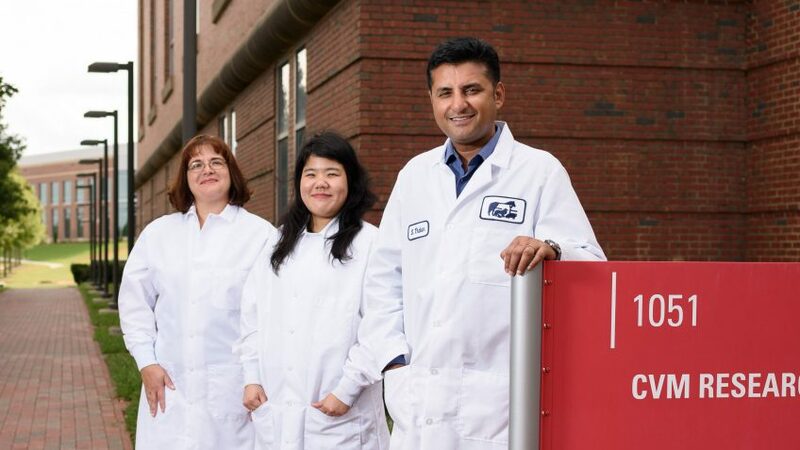 “This grant will allow us to create a whole genome sequence-based map of antimicrobial pathogens, including Salmonella, campylobacter, E. coli and Listeria, from food animals, retail meat and the environment,” said Thakur, CVM associate professor of molecular epidemiology and the associate director of NC State’s Comparative Medicine Institute, where he leads the emerging infectious diseases research program. Thakur’s lab became an official GenomeTrakr participant last September. 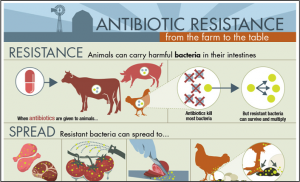 Just last month, his lab also became part of the National Antimicrobial Resistance Monitoring System for Enteric Bacteria (NARMS), a partnership between the FDA, the Centers for Disease Control and the U.S. Department of Agriculture that also tracks emerging bacterial resistance in retail meats, food animals and ill people. 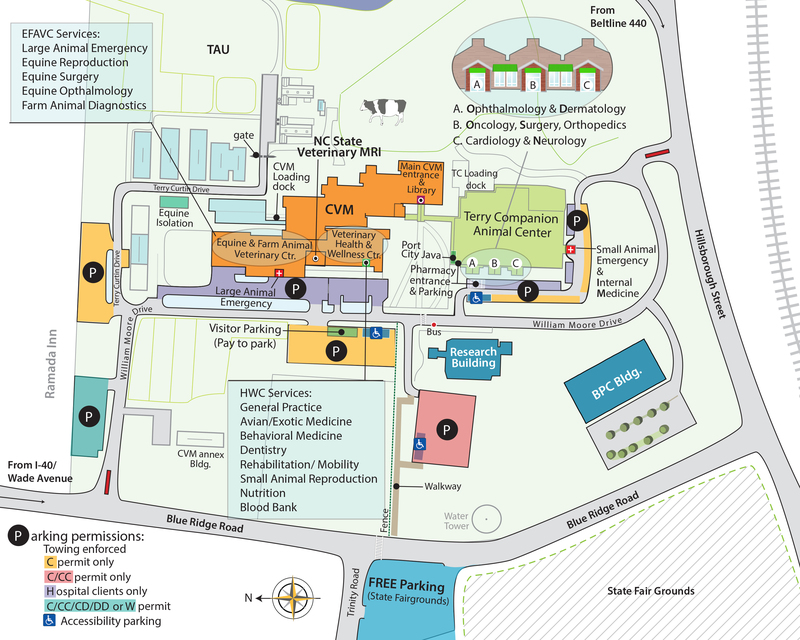 Thakur’s lab represents North Carolina in the GenomeTrakr and NARMS programs at the national level. For GenomeTrakr, Thakur’s lab collaborates with the North Carolina Department of Agriculture and Consumer Services. Thakur said the NIH/FDA grant will likely be renewed every two years. Thakur said he will also collaborate with the World Health Organization’s- advisory group on integrated surveillance of antimicrobial resistance (AGISAR) for this program. “That will allow us to partner with 26 countries and generate whole genome sequence profiles of drug-resistant bacterial strains on a global scale,” said Thakur. The FDA launched GenomeTrakr in 2012. The network now includes 40 labs in the United States, mostly federal/state health and university labs, as well as 20 labs outside of the U.S. According to the FDA, the network has sequenced more than 146,000 pathogen isolates over the past five years and regularly sequences over 5,000 isolates a month. The CDC estimates that 48 million people get sick from foodborne diseases each year in the United States. Of those, 128,000 are hospitalized and 3,000 die each year. There are 31 pathogens known to cause foodborne illnesses and many are monitored by public health systems like GenomeTrakr. Genomic sequences and collection information for samples are available to the public on the National Center for Biotechnology website.